A Dutch/ Italian multi-lingual, born and raised in the Netherlands. I hold a Master of Arts from the University of Amsterdam and I also studied Spanish Language and Literature. I furthered my education by completing a degree in Tourism. My studies and my passion for Greek archaeology and history brought me to Crete to work as a tour guide for some years. After finishing my studies, I worked on a cultural project for children at the Dutch Institute in Athens. I fell in love with Greece and its capital and ended up staying in Athens. It has been my home for over 16 years. I am still overwhelmed by Greece’s great history and natural beauty. And I love raising my children here, in a somehow laid back and family-friendly environment. I always loved to travel. I spent my childhood summers in my fathers village in Italy and explored Europe with my parents. I much enjoyed my first years as a tour guide in Crete because I got to travel around the island for months. During my career in commercial business, I travelled more around Europe. On top of that, I married a Greek man with wanderlust. He was able to show me the rest of Greece, and the world. On his motorcycle and boat, we visited lots of beautiful places, many of them off the beaten path. We met dolphins and seals, dived to shipwrecks and discovered boutique hotels, camping sites, and luxury resorts. We spent endless weekends and summers free camping and hoping on-and-off islands. I also got to know the winters in Greece; rafting, hiking, biking… it is all possible. Greece is a great place for outdoor winter activities. Greece is actually the ideal place for a 12-month holiday; you can’t say you’ve visited Greece unless you visit it every season. Every season has its uniqueness and special beauty. I have two children. After my second child was born, I decided to become a stay-at-home mum and gave up my job. I continued my outings and vacations in Greece with my babies. They took their first plane ride when they were just born. Many flights followed. I wanted to give my kids as many experiences as possible. I became very passionate about finding quality family friendly activities in Athens and accommodation for our vacations in Greece. At that time, with two kids on my side, travelling had changed. Our needs were very different than before the kids were born. During one of our vacations I found the perfect family hotel. I wondered if I could find similar places in Greece. People started asking me for advice and tips and I felt strongly about sharing what I knew and what I had learned. This passion was my drive to make it a job. In 2013, I partnered up with Family Goes Out. In the Family Goes Out Blog I shared my family experiences in Greece as well as tips and practical advice on travelling with babies and children. I co-created a database with family friendly restaurants and hotels in Athens and Greece and I mapped the Athens’ playgrounds. I further designed a walking tour for families with young kids (and I sometimes work as a private tour guide for families visiting Athens) Family Goes Out was the creative outlet to share my insights as an Expat-turned local-mother. 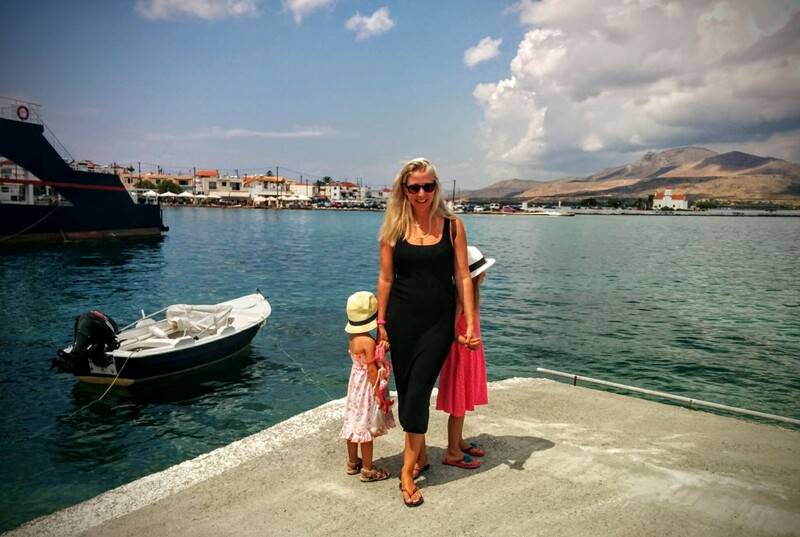 I became the expert on traveling with kids and family friendly outings in Greece. Our stories are actually real experiences. (My favourite story is about an interactive Acropolis tour Travelling Back to Ancient Acropolis Times). My work for Family Goes Out has been published in the Hilton Magazine and on Stay.com. You can find my stories at familygoesout.com/real-stories/. My blog and the Family Goes Out website have been awarded a prize in a Start-up competition supported by Stavros Niarchos Foundation at the Orange Grove, the Dutch Embassy. Family Goes Out gave me the confidence I needed to start this Blog and put 100% of my efforts on my own work! It was time for something new. The focus of Family Experiences Blog is Travel and Activities in Greece. The ambition is to cover a broad spectrum of quality family time in Greece: this includes lifestyle, events, food and more. I want to inspire you to go out with your kids and spent quality time at the best places and venues that Greece has to offer. Explore Greece with your family – whether you live in Greece or visit from abroad, this is the Blog you should be looking at and getting advise! Sooner than later you will realise that spending time together with your family is what makes and shapes your memories in later life. And family memories are precious! My personal interests are reflected in this blog: (ancient) history and culture, food, the arts, sports, the nature, animals and luxury. I love the beach, boating, good wines, and spending quality time with my kids. I love being active outdoors but I can be relaxing, too. In my vacation, I like to walk through forests and mountains but I also spent time in luxury hotels and spas for a good massage and sauna. Gentle and positive parenting is my parenting style, unstructured free play (preferably outdoors) is what I find most important. I have traveled as a family by all means of transport (plane, boat, car and train), more recently, I have started travelling as a sole-parent, “me, myself and I with two kids!” Single parent traveling is a whole new ball game. I look forward to sharing my tips and experiences about that on this blog too. I am a proud member of the Travel Bloggers Greece (TBG). TBG is the first network of Greece-based travel bloggers that covers Greece as a travel destination. At the end of this page, you can find my ’10 questions with Travel Bloggers Greece’ and learn more about me. Are you planning a family vacation to Greece? Are you looking for practical advice about where to go with your family? …..You came to the right place! Let me recommend family friendly places. Feel free to email me at info@familyexperiencesblog.com or celeste@familyexperiencesblog.com. You can also find me on Google+, Instagram, Facebook and Twitter. I would love to hear from you! If you are interested in collaborating with me check out my WORK WITH ME page. Celeste is half-Dutch, half-Italian and first came to Greece some 20 years ago to work as a tour guide in Crete. She followed an education in Tourism and studied Spanish and Cultural Studies at the University of Amsterdam. For her thesis, she researched the foreign Cultural and Archaeological schools. She worked at the Dutch Institute in Athens where she organized an educational program, co-wrote a book, an article and finally decided to stay in Greece. 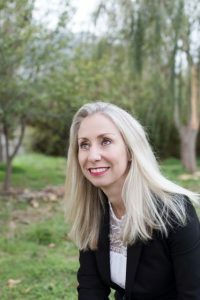 After working in PR & Hospitality during the Athens 2004 Olympic Games and 6 more years in Coca-Cola Hellenic, Celeste travelled extensively for both business and pleasure around Greece and Europe. After the birth of daughters (6 and 3 years old), Celeste decides to be a full time mother. She spends most of her time on finding and enjoying family activities, family friendly restaurants and vacations and excursions. Celeste has many interests and likes change. Her hobbies include: crafts, food and wine, the beach, reading, the arts, museums and to be active outdoors. Celeste loves swimming in the sea, long walks in nature and participated in the 2014 Athens Marathon for Family Goes Out. CT: It is about (my) family outings, activities and holidays in Athens and Greece. Activities can be adventure parks but also exploring nature, art classes, museums, restaurants, beaches, traditional local events etc. Besides kids-friendly, I focus on family friendly. I found that a lot of places are nice for children, but not for parents. The same goes for hotels. When my second child was a newborn baby, we all desperately needed a holiday. I found a resort hotel that was very child-friendly and at the same time the kind of place that I would go even without children. My husband and I were able to still have a beautiful dinner and enjoy our drinks in the evening whilst our children were safe and happy too. I want to find more of such places were both parents and children can spend quality time together. CT: When my kids were born, I started sharing our adventures and activities on facebook. I found out that other parents were very enthusiastic. They started asking me for tips on activities and places to go out in Athens with their children. Unlike many people believe, there are actually a lot of great family friendly places and initiatives. I wanted to promote these places and inspire other parents. I believe that Athens – and Greece in general – are ideal for family outings and activities. The weather, the food, the nature, the landscapes, the beaches and the sea, the history…I don’t like seeing children with tablet and ipads in their free time. I want them to explore and some outings must be for all budgets and eco friendly. Going out with my babies and young children usually required specific equipment. Is it safe for a toddler running around, is there a highchair in the restaurant, is the sea shallow or rocky ? I started listing the places that have these facilities. Finally I wanted to show the beauty of Greece to my family and friends in other countries. In 2014, I started working with Marianne Najm, founder of Family Goes Out – in Greece. We created a directory and decided to turn the initial facebook posts into a blog, part of the Family Goes Out website. CT: The most viewed post is an article describing my favorite family friendly beach resort in Evia island. I have found that there is a great need for such information. We do not only see this in the statistics of our posts but also in the requests for tailor made family friendly holidays that Family Goes Out receives. Other popular posts are related to activities in and around Athens. CT: I only recently started writing the blog, before I only posted my travel on my facebook page for my friends. The most memorable trips before I had children was on our boat cruising the Greek islands and spending endless days alone on deserted beaches. With my children, the most memorable would be a trip to Nafplio. Because in that trip my children were both old enough to understand a bit more of history and archeology and they were able to share my passion for this with me. CT: Sharing my passion with others: parenting, family activities, travelling and Greece. Greece is so diverse. It is a destination for every season of the year and for any kind of holiday, budget and traveller. I also enjoy sharing the quality activities that my home city Athens has to offer. There is plenty of initiative out there and it needs to be promoted. CT: Greeks love babies and children and they are welcome anywhere. The Greeks will go out of their way to make your children happy and feel special. I find people more helpful to parents here than some places abroad. From a practical point of view; if you travel with babies or toddlers, check if your accommodation offers if the necessary equipment. Family Goes out has created a database for family friendly hotels. We also partner with a baby gear rental. CT: For the world: Italy, especially my dad’s village in the North. I spent my childhood summers there. For Greece, it’s very difficult to choose one. I will say Chania as I still often visit. I have made my best friends there. And also my hometown: Athens. Such an energetic city, always changing and yet always the same. The perfect mix between the old and the new. Fast and slow, hip and old fashioned. My best family evenings are the ones where my kids are running around in the the car free zone in Plaka underneath the Acropolis and the moon.